Welcome to Freedom Boat Club Cape Coral! 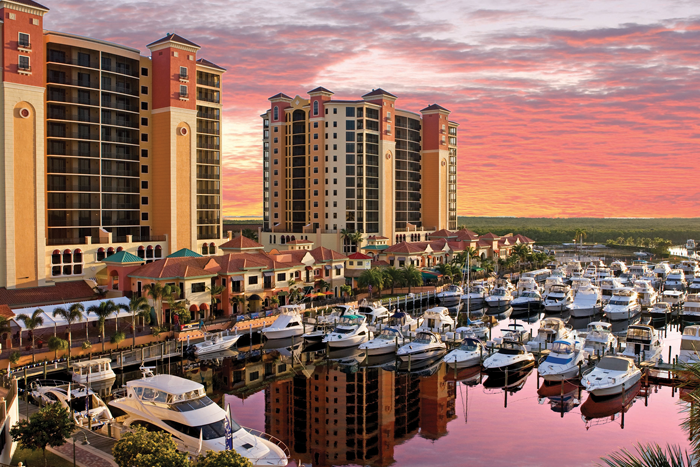 We are conveniently located at the beautiful Cape Harbour Marina, which sits at the mouth of the Caloosahatchee River. The marina is situated among unique boutiques, art galleries, a spa and salon, and more. There are also several great waterfront restaurants (some even deliver to your boat), making the marina the perfect launching pad for your boating adventure. Cape Harbour Marina is ideally situated to offer easy access to many popular boating destinations in the area. With 400 miles of winding canals, it is Cape Coral’s closest marina to the sparkling blue Gulf of Mexico, offering a convenient gateway for authorized FBC offshore boaters. Spend a day exploring the spectacular islands of Cayo Costa, Captiva, and Cabbage Key. Find your own beach at Lover’s Key or hunt for shells in Sanibel. Cruise to the Fort Myers River District to dock and dine for lunch, or cast your lines at the Pine Island Sound for a day of fishing …the boating options are endless!